Orana: one of my life's most intriguing meals. 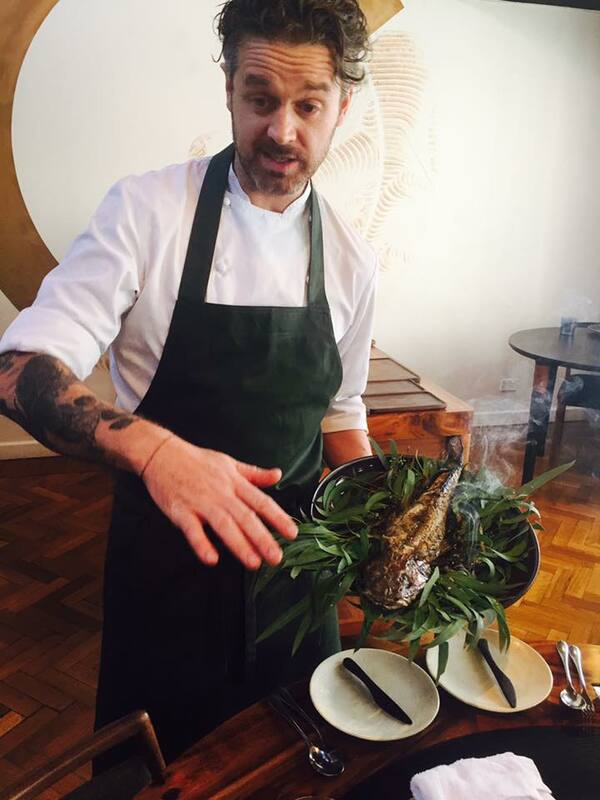 Scottish chef Jock Zonfrillo “the Nomad Chef” champions aboriginal and foraged foods at his Adelaide restaurant. Bread dough in cloches is on the table when you arrive and then brought to the kitchen to bake and served later in the meal. Damper, the traditional quick bread of Australia, is also served raw, skewered on green branches. We are each given miniature cast iron pans of hot embers to cook the damper ourselves on the table. It is paired with smoked macadamia butter and thyme. Zonfrillo serves native ingredients like Coorong mullet, lily pily, bunya nut, zig zag wattle, quandong, bush cherry, saltbush, sea celery and green ants. His plating is stunning and sculptural, packed with novel flavor combinations, and most importantly every bite is delicious (a sometimes lost art at modern, creative restaurants). 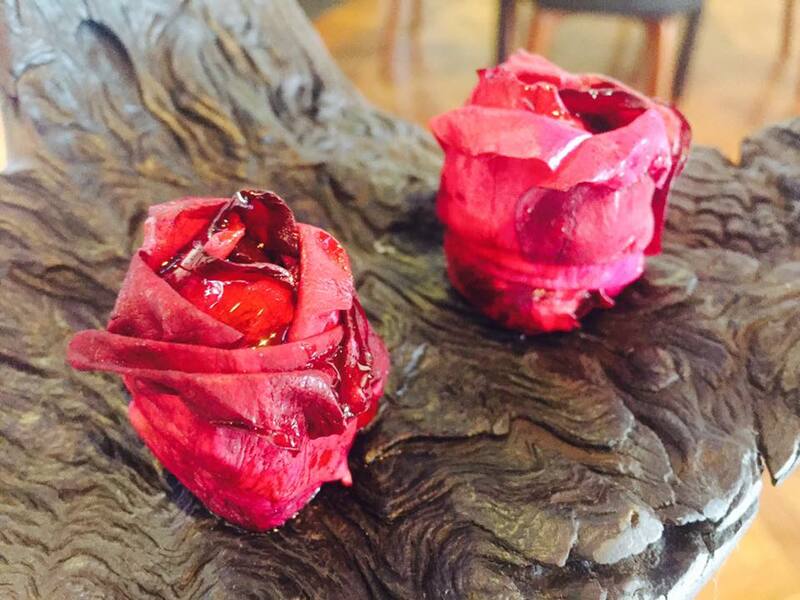 Those magenta “roses” are made from paper-thin ribbons of beets but they taste of flowers: they are scented with pickled rose petals. The crisp that looks like a shrimp cracker is kangaroo tendon, smeared with native pepper paste. The uni sits in a spoon bath of kangaroo “shoyu”, a liquid created from fermenting the meat.